Can A Glass Pool Fence Break? Have you ever thought about investing in a pool glass fence? You have probably seen it in movies especially in featured celebrity houses, with one look you can’t deny the fact that indeed glass pool fences can add effortless beauty to your home. With its sleek, sophisticated and unobtrusive design, it will elevate the entire look of your home. However, there is one major concern that homeowners simply could not overlook and that is the fear that at any time these glass pool fences could break. The question on safety is always there and that is why in this blog we will explain to you everything you need to know about glass pool fences and why it’s an excellent investment. 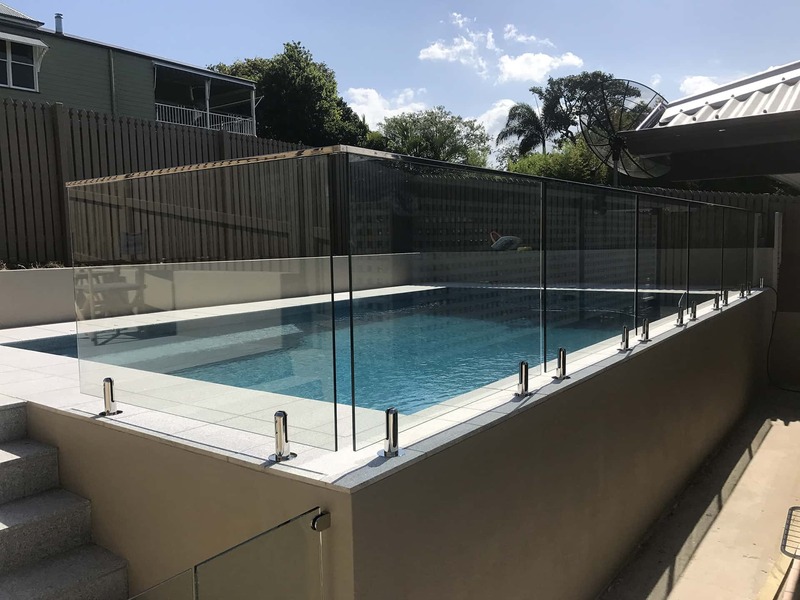 Just so you know, glass pool fencing is one hundred percent safe because at Als Glass Works, we make sure we meet all of the important Australian Standards for pool fencing. As a matter of fact, we take pride in our craftsmanship as it exceeds these standards. For your information, Australian Standard 2980 talk about glass gates being used together with glass pool fencing. It talks about the gate lasting for at least ten thousand cycles without failing. In other words, the gate should last for a minimum of ten years. At Als Glass Works we always prioritise your safety. We are not only concerned about aesthetics and how your house is going to look but we are more concerned about you and your family’s safety. We also guarantee that the latch on the glass gates is positioned high enough so that your kids could not reach it. We have heard of stories about kids accidentally falling in the pool because they can easily reach the latch. We can guarantee you that with our glass pool fences, no such thing will happen. When it comes to safety, it is very important that pets and kids cannot access the pool. This is why glass pool fences are necessary. If you don’t have glass pool fences installed there is a big chance that accidents could happen especially if you have toddlers around the house. Kids ages two to four years old are very curious and they love to run around. Unless you are always keeping an eye on them and making sure all the doors are locked, then we think it’s okay but nothing can give you peace of mind than having protective glass fences encamping your pool. This gives you the assurance that there are no drowning accidents in your home not just for your kids but for your pets as well. One great thing about glass pool fences is it has a very smooth surface making it impossible for both pets and kids to climb it. You know those tiny tots can scale almost anything just to get to other side? Well, with glass pool fences, they won’t make it to the other side and that is one thing we can promise you. The panels are strategically and carefully placed near the ground and are almost juxtaposed to each other so that pets and kids cannot squeeze themselves under or between the panels. You can’t disregard the possibility of some pets to dig under the glass pool fence so they can get in, which is why it is important for you to install it on strong surfaces like concrete. Even if they dig it up for an entire day they can never get past the glass pool fence if it’s mounted on concrete. Now for the big question, can a glass pool fence break? You see, when people think of glass they usually associate it with something that could possibly shatter but this is not the case when it comes to glass pool fencing. At Als Glass Works, we use strong and durable safety glass with just the right amount of thickness needed for safety and protection. With our expertise, it can be very difficult if not impossible to break the glass but if in the unlikely event that it will happen it will only break into small cubes instead of sharp shards and it is likely to cause any cuts or serious injuries to the people around it. If you have any questions regarding glass pool fences, you can visit our website to get more information about the company and about the services we offer. How To Keep A Glass Pool Fence Clean? How To Install Glass Pool Fencing? What Are The Advantages Of A Glass Pool Fence? What To Consider When Choosing Glass Pool Fence? Frameless Or Framed Glass Pool Fencing? How To Choose The Right Glass For Your Pool Fence? Why Choose Glass Pool Fences Over Other Fences? How Safe is Glass Pool Fencing? Who Should Install Your Glass Pool Fence?